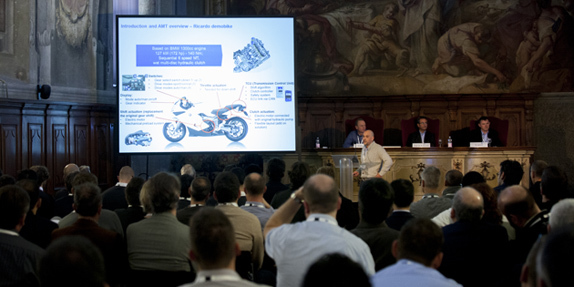 The programme for the fourth annual Ricardo Motorcycle conference – to be hosted in Milan on 6th November 2017 the day before the start of EICMA 2017, the premier global trade show for two-wheeled transport – has been announced, and includes presentations from some of the world’s leading motorcycle and scooter manufacturers. The Ricardo Motorcycle conference is now firmly established as a must-attend event in the motorcycle industry calendar. Each year, the event draws together senior management, engineers and thought-leaders of the world’s leading motorcycle brands and their technology and component suppliers, to discuss the future trends, legislative and market drivers, and technological opportunities that they face. The conference will once again be hosted at the Museo Nazionale della Scienza e della Tecnologia Leonardo da Vinci. Following the formal opening of the conference, the keynote speech will be given by Antonio Perlot, secretary general of ACEM – the European Association of Motorcycle Manufacturers. Technical sessions will then focus upon the topics of urban mobility, powertrain technologies, electrification, and the challenges of more stringent regulation of emissions and noise. Presentations will be provided by representatives of some of the world’s leading motorcycle manufacturers, including BMW Motorrad, Ducati, Harley Davidson, Honda, KTM and Yamaha, as well as Tier 1 supplier Bosch, and many other technical specialists. In parallel with the main technical sessions, Ricardo is introducing again three ‘Expert Dialogues’ running in parallel to the conference programme. 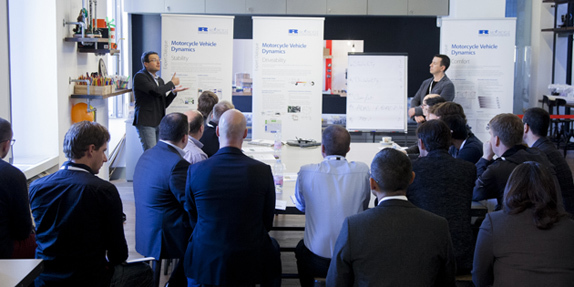 These are free discussion sessions covering a range of themes of relevance to motorcycle development, and drawing together experts from both the automotive and urban mobility sectors. This year’s Expert Dialogues will be on the subjects of electric motorcycles, connected motorcycles and technology road-mapping. Further details of the technical programme and details of delegate registration for the second Ricardo Motorcycle Conference to be held in Milan on 6th November 2017 can be found at: www.motorcycleconference.com.